The proposed Cambridge multiplex has hit another snag. It appears putting the facility at the Cambridge Centre Mall is a dead deal. Residents wonder if the multiplex will ever be built, but politicians insist they’re not starting from scratch. “Really and truly it came down to cost, and it wasn’t a feasible cost for our taxpayers to bear, so we have closed our negotiations with Morgaurd and we will continue to look for other options,” explains Cambridge Mayor Kathryn McGarry. She says she believes that Cambridge council can get a solution to the issue in the next few months. The multiplex deal has gone through several other options in the past. In 2015, a deal was worked out to put it at Conestoga College, but people protested. It then turned into five options up for debate, with the Cambridge Centre Mall becoming a sixth option. A seventh option would put the multiplex in southeast Cambridge at a location where the city owns land. “The sites that we’re looking at have been part of the process and we told the mall from the get-go that we do have other opportunities,” explains Coun. Nicholas Ermeta. 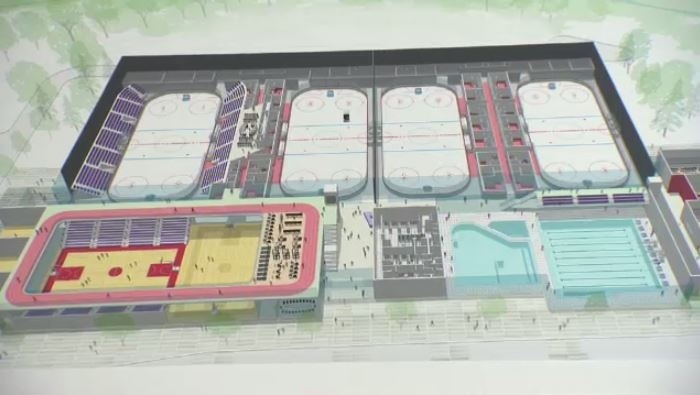 New plans for the multiplex will be presented in March. Details are few, but councillors are already saying it will be more expensive than the initial budget between $53 million and $80 million.